Rav Chaim YIsroel Belsky zt’l. Rabbi Chaim Yisroel Belsky zt’l, senior halachic consultant for the Orthodox Union, a roshei yeshiva of Yeshiva Torah Vodaath and a luminary of Orthodox Judaism, passed away on January 28 after a battle with cancer. He was 77. Rabbi Belsky, born in 1938, received his semicha from Yeshiva Torah Vodaath in 1962, and from Rabbi Moshe Feinstein zt’l in 1965. The funeral took place on Friday morning at Yeshiva Torah Vodaath. An archived video of the funeral can be watched here. 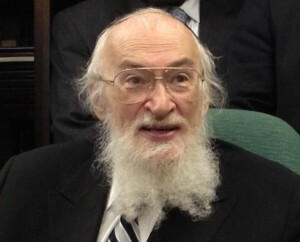 Rabbi Belsky’s body was flown to Israel for burial on motzei Shabbat. Watch: Shaylos in Treifus and Nikkur – Presented by Rav Yisroel Belsky and Reb Shimon Mendlowitz at Cong. Zichron Yaakov in Lakewood, NJ on Motzoei Shabbos, February 16th 2008 as a Harry H. Beren ASK OUTREACH Shiur.